to even the slightest hint of mould. Exposure causes her hair to fall out. A woman is forced to sleep in a tent after battling Lyme disease for 12 years has left her allergic to even the slightest hint of mould. 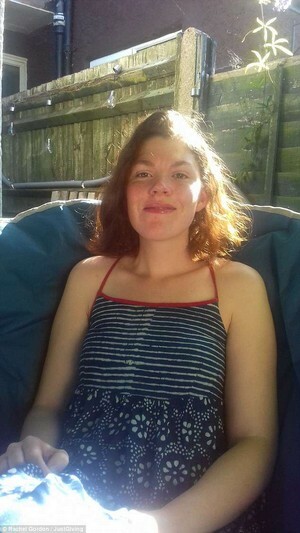 Rachel Gordon, 27, who is believed to be from London, was diagnosed with the condition privately last year after NHS doctors told her she had chronic fatigue syndrome (CFS). Due to Lyme disease suppressing sufferers' immune systems, exposure to mould, which is present in most homes to some extent, causes Rachel's hair to fall out, as well as her suffering from severe headaches and congestion to the point she can barely hear. This has led to Rachel living in a tent for the past four months, causing her family to worry how she will cope come winter. Rachel and her mother Helen Gordon are speaking out to raise money towards herbal treatment, believing antibiotics could cause her to relapse if she develops resistance.